This is the fifth in our series on the 7 Steps to health and wealth. For many of us there comes a point when the scale seems to gets stuck. Either we’ve just got used to the fact that that’s the way it is. Or, your normal weight loss routine that has worked, now doesn’t. 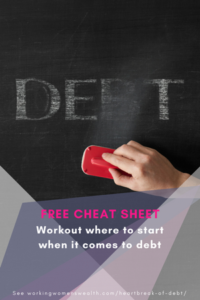 Similarly, there are many people who are not in debt, but at the same time are struggling to break through into being able to save. There just isn’t enough money to cover the basics and so the money doesn’t always make it to the end of the month. And then, to top it all, the cost of living keeps increasing faster than the ability to increase income streams. Medical bills and other necessities eat up the money. Children are expensive – and before the money lands in your account, it disappears. And even if you do budget, “something always comes up”. Which means you’re never ahead. For those in this stage of wealth, each month has the feeling of Groundhog day. The money comes, the bills get paid, and before you know it the money goes…. Repeat. And it feels like you just want to, for once, break through that barrier. Just get ahead of it once. A bit like when the scale won’t budge, there are two main challenges people have in this stage. Either, you truly are covering every possible angle that is humanly sustainable – you’ve cut as many costs as possible; have at least two sources of income; and are working as many hours as possible. Truly, you could not squeeze one cent out if you tried. Or, that ah-ha moment of crisis hasn’t hit you. You’re actually comfortable where you’re at. You may want to be thinner, but you just don’t have the space in your brain to do what it takes. What does that mean? Well, for most people, real life-altering behavioural change usually only happens when you hit rock bottom. When you have that Damascus road experience where staying the same is no longer possible, and you gain a vision of the future scary enough or big enough to make you change your daily habits and mindset. It is as Jim Collins in Good to Great says, the enemy of great is good, or my addition, OK. When it comes to health, this where I spend most of my time. When the scale seems to have got stuck in one point. And you know what, it’s fine. In the big scheme of my life – my work, my kids, my husband – it’s fine to stay there. If it strays too far heavier, then I kick into action and get back there… to OK land. Is it the weight I should be? Not a chance. But the situation really isn’t bad enough to truly commit to early morning wake ups to exercise, or not having that ice cream with my kids. That I need a compelling vision of what I want to achieve, and why. As I mentioned, I revisited the affirmation I’d written a while ago, and just the one image of Demi Moore one-arm-pushupping was enough to trigger the deep emotion I needed to hook into every day. So I started my daily affirmations again. When I was writing about mindsets and daily habits, I reminded myself of the key insight I’d had that my cornerstone habit was waking up early. So I’ve been setting my alarm clock 5 minutes earlier each week. Like those who are overweight or in debt, sometimes you just need to knuckle down and cut out what you know you don’t need in order to remove what you don’t need. At the time of starting this series, I’d floated above that point the scale never moves from. So it’s meant cutting out sugar – which this time seems easier as step 1 and 2 are in place. It truly does work to make change more sustainable when the first three steps are in place. That brings us to the financial keys to this step. A bit like Intermittent Fasting is one of the ways to jump start your metabolism; developing a second income stream is one of the keys to getting through the barrier of not making ends meet. But it requires hard work and persistence, and so you really need to commit to that vision every day to remind yourself why you’re doing it. I went back to get my Financial Planning degree when my twins were 3 years old, and my eldest daughter 8. I had a full time job leading four divisions of a company my employer had just bought and we were integrating. Doing that degree was THE hardest thing I’ve done and required me to work late, get up early and drastically reduce my socialising. But I had a strong vision of the freedom that would come at the end of this big sacrifice. And so, I did it. And I continue to do it now as I set up my new businesses. It is hard, but I have a strong vision of where I want to be in 10 years time. 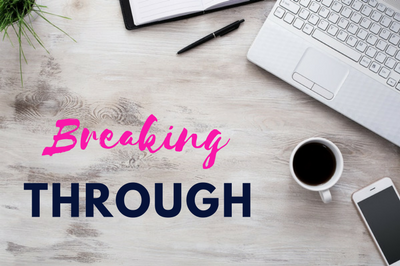 Know this: ALL businesses take time to get going and require a deep commitment to your goal in order for you to break through the startup phase and for it to add meaningfully to your income. For me, second income businesses are not just to earn a little more now – they are also the foundation of the second half of our lives. So, when we leave our main area of employment, we have something in place to stop us needing to draw everything from our savings. 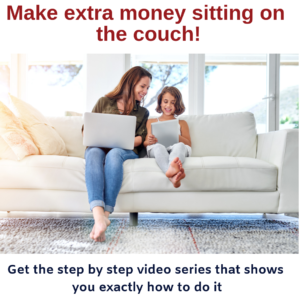 In my article on 6 ways to make money whilst sitting on the couch I worked out you could make an extra $900 (over R12,000) per month by spending just one hour a day on the computer. And that really is the tip of a big iceberg of opportunities you can seize in this connected global economy. As Angela Duckworth describes in her truly amazing book, you just need to have Grit – the passion (and clear reason) to do it and the perseverance to stick to it . But your second income doesn’t need to be virtual, it could be doing massage, or teaching children a holiday art class, or baby sitting. There is always some time. Maybe you need to start only working the 8 hours you’re paid to, and not 10. You might need to cut back on TV or Social Media. Or volunteering at the school tuckshop. I have no idea of your personal circumstances. But I do know that almost all of us have habitual ‘time wasters’. A bit like having large helpings or getting into the habit of having something sweet after dinner, or the milk in too many cappuccino’s. Find those time wasters or create time by waking up half an hour early before the family rises. But prioritise your time, you must. Work out what to take out of your day so you can put the important things back in. I have however noticed that many people who are successful in this break through phase of earning a second income keep one day a week completely free for their friends and family. I adopted this strategy around 15 years ago when I almost reached corporate burnout, and it makes a crucial difference to me and my family. Even through the most time-pressured phases of my life, Sundays have always been an off day. Even if I have to work till 12pm on Saturday night. My husband and children all know i’m 100% present on Sundays, and I make that time count with each of them. And most importantly, because my brain knows it’s a non negotiable, so I have none of the nagging thoughts of “you should be”. You can do it… Good luck!